There is a commonly held belief that during college, what is learned outside of the classroom is every bit as important as what is learned in it. 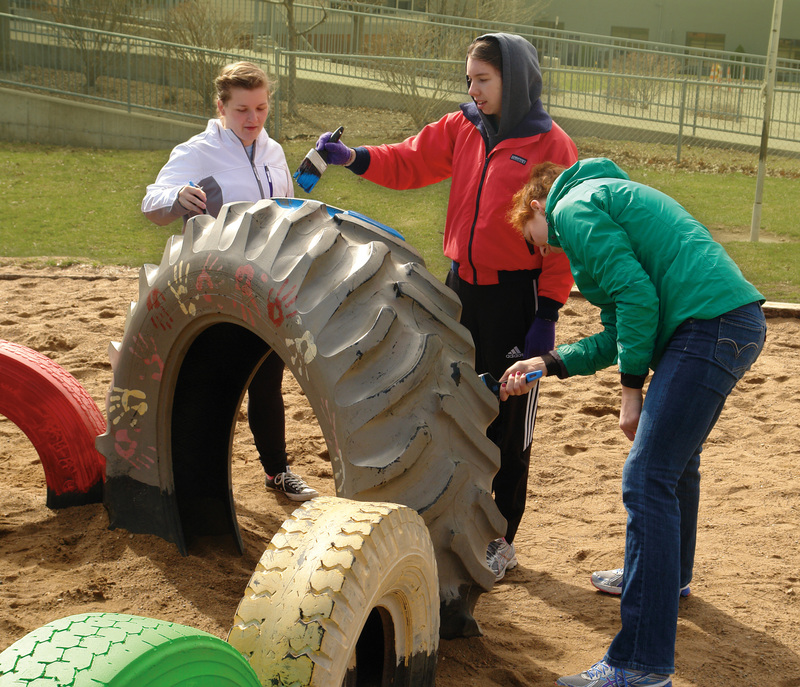 With increasing regularity, service projects are becoming more a part of Truman students’ educational experience. Whether it is through an organization, for a class credit or just out of the kindness of their hearts, many students are discovering that service to others can be a rewarding aspect of their time at the University. Students applying their skills in the community can be traced back to the University’s roots as a normal school. Future educators often worked in surrounding schools, and while that still takes place today, evidence of students volunteering in the community can be found in too many places to count. 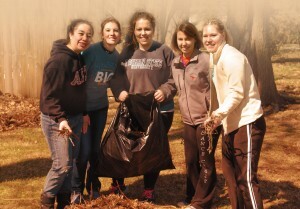 In the 2013-14 school year, Truman students completed more than 60,000 hours of community service. 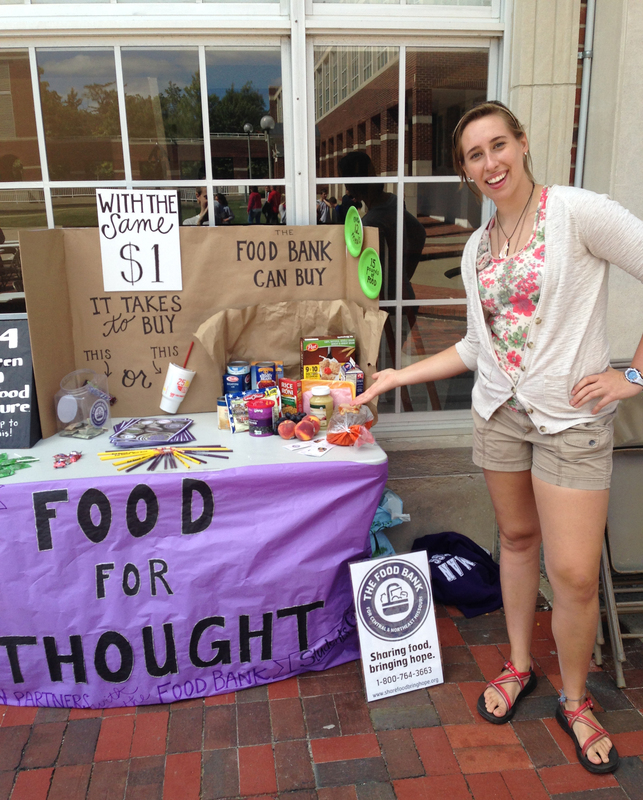 Truman cannot take all of the credit for students’ philanthropic nature. An overwhelming majority of incoming students already learned the value of helping others before they arrived on campus. In surveys conducted by the Admissions Office, approximately 95 percent of students who provided information about their activities and involvement indicated participation in some type of service within their schools or communities. To capitalize on the spirit of service in the incoming students, 2014 saw the University incorporate an optional service component to Truman Week. Bulldogs in Action is a freshmen-only service activity, and more than 200 students volunteered during the inaugural event. For one day, new Truman students came together and assisted with a food bank 5K, worked for a local charity that helps people with disabilities live independently, and contributed to street and trail cleanup efforts. There are plans to make Bulldogs in Action a regular part of Truman Week. 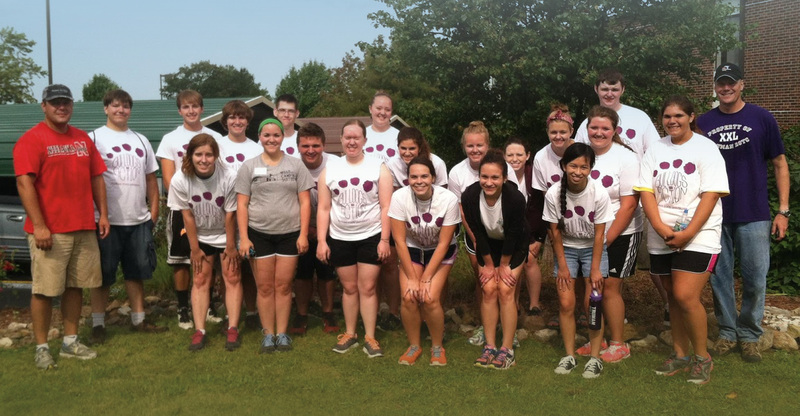 Bulldogs in Action is only the newest addition to single-day service events at Truman. The University annually participates in the national Martin Luther King Jr. Day of Service, as well as its own Big Event. The Martin Luther King Jr. Day of Service is billed as “a day on, not a day off,” and for the past seven years, a growing number of Truman students have done just that. Each January, those who volunteer are divided into teams and asked to complete a “challenge” or service project for one of a dozen local community agencies. This year, 100 students helped at places like the Adair County Humane Society, the La Plata Nursing Home and the Food Bank for Central and Northeast Missouri. Along the same lines, Truman’s own Big Event has continued to grow, and celebrated its 14th year in 2015. More than 1,100 Truman students came together to demonstrate their appreciation of the community’s support. Activities included raking leaves, washing windows and painting, among others. In addition to specific service events, many courses at Truman have started to include service-learning components. Service-learning is a teaching methodology that utilizes community service to help students gain a deeper understanding of course content, acquire new knowledge and engage in civic activity. “I believe that service-learning makes a valuable contribution to student learning in many kinds of classes,” said Elaine McDuff, professor of sociology and chair of the Department of Society and Environment. By interacting with the community and witnessing social issues first-hand, students develop a sense of social responsibility and learn the importance of community service. Service-learning also has the ability to foster the development of empathy, personal value, beliefs and awareness. McDuff has included service-learning components in several of her classes since coming to Truman in 2001. Among other things, those courses have allowed students to conduct a local community needs assessment, establish an annual volunteer fair for students and examine issues of social inequality through community service hours at local agencies. As beneficial as service-learning can be, it is not an institution-driven initiative. There are three primary ways service-learning projects can get started: faculty members can make service-learning a required part of their courses; community partners can suggest a project; or students can take up the charge on their own. With the guidance of a faculty member, Truman students can propose a course not already offered, and then actually teach it – leading discussion and helping their fellow students understand the material. 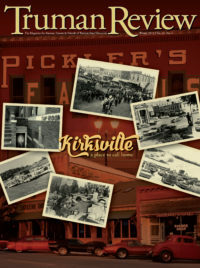 During the spring 2014 semester, Janice Clark, associate professor of health science, oversaw a student-led course entitled “Fighting Poverty in Adair County.” This one-hour class contributed 10 service projects to partners such as the Food Bank for Central and Northeast Missouri, Hope’s Kitchen and Northeast Missouri Community Action Agency. Student-initiated classes are not the only examples of students being proactive. Many student organizations are either dedicated wholly to service or have it as an integral part of their activities. Some, like Blue Key and Cardinal Key, have been on campus for nearly 70 years. Service organizations are also popular. The largest student group on campus is Alpha Phi Omega, a service-based organization. Social sororities and fraternities also play a role in the number of community service hours contributed by students. In addition to each organization’s individual philanthropies, the Greek system collectively helps support the campus and the community. During Greek Week 2015, a total of $21,000 was raised — $4,500 went to support scholarships at the University, while the remaining $16,500 was donated to the NEMO Inclusion Project, a local organization working to build a playground with options for children of all ability levels. While service is its own reward, Truman has earned some praise for its efforts, nonetheless. The University has been on the President’s Higher Education Community Service Honor Roll every year since the program launched in 2006. The honor roll highlights the contributions of colleges and universities in solving community problems and placing students on a lifelong path to civic engagement. Institutions that achieve meaningful, measurable outcomes in the communities they serve are recognized annually. Truman has also received acclaim from the Peace Corps, which earlier this year included the University on its list of top-producing schools. Since the Peace Corps was created in 1961, more than 200 University graduates have served as volunteers. Benjamin Rearick (’10), a recent Peace Corps volunteer, brought a little piece of Truman to his host country of Ethiopia. Inspired by the University’s Children’s Literature Festival, Rearick created a small version of the event at the primary school where he worked, complete with guest speakers, presentations and read-aloud sessions. Truman students in the early childhood education program worked with their classes to create student-made picture books that were mailed to Ethiopia to be shared with the students. 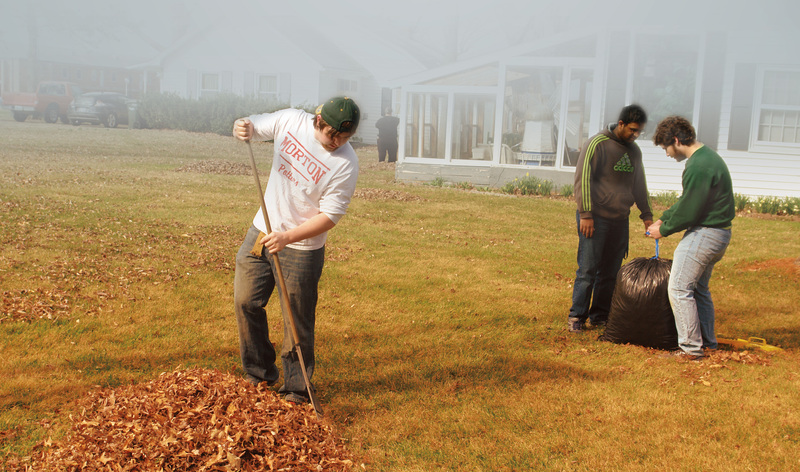 Dan Rettke (’09) was also inspired by his time at Truman and organized a volunteer effort, similar to a project from the Big Event, at his home in Union, Mo. He spearheaded an effort to clean up a local park, and secured 24 business partners and more than 150 volunteers to help. Rettke and Rearick are just two of the numerous alumni who have taken aspects from their time on campus and applied them to life after graduation. The University Career Center estimates that about 30 percent of students report working in the government/nonprofit sector at some point after graduation. Alumni can be found in organizations like the Boy Scouts of America, the Boys and Girls Club, Teach for America and the YMCA, to name just a few. Interest in service-based employment is so popular that the Career Center has even incorporated a Nonprofit Conference into its Career Week activities. Truman will rarely be a student’s first exposure to service work, and each student will have his or her own reasons to continue to participate in it while on campus, but there is something to be said for fostering an atmosphere that is supportive of volunteerism. Instilling students with a desire to take the skills they learn at Truman and apply them to make their communities better places is something that has immeasurable value. The rewards from that can be far more memorable than any letter grade.